A clear, plump, slightly curved forehead is one standard of beauty here in Korea. To let you in on a little secret, a nice balance in volume on most areas of the face is actually the key to looking youthful and pretty - I'm talking cheeks, forehead, chin, tear trough, and such. Laugh lines (nasolabial fold) aren't the only places to fill in, people. Here's another area you might have been neglecting, but which can bring surprisingly satisfactory results... the forehead! First of all, a sunken forehead with lots of wrinkles can make you instantly look more aged and tired. It's also widely known in Korea, where physiognomy is not ridiculed like it may be in other parts of the world, that a good forehead can bring fortune and a good life ahead. Our facial features display the lives we live, which is why maintaining a good healthy appearance is important in leading a prosperous life (not necessarily monetarily). So what are the options to a voluminous and healthy looking forehead? The first option would be a surgical implantation. This, obviously, would have the longest lasting results, but requires anesthesia. For people who are afraid of or against surgery, or against the idea of having a foreign substance implanted inside your face for a prolonged period of time, this can be a difficult procedure to decide upon. The second option is autologous fat transfer. This procedure consists of extracting fat cells from the back of your thighs, and injecting it back into the face. Since this is done with your own fat, there is no risk of any allergic complications. However, within about a month or two, most of the fat is absorbed back into the skin, which means when the fat is first injected, it is done much more than is actually necessary, because you need to consider in advance that most of the fat cells will be gone soon. As a result, for the first few weeks your forehead would be bulging abnormally and look a bit unnatural. 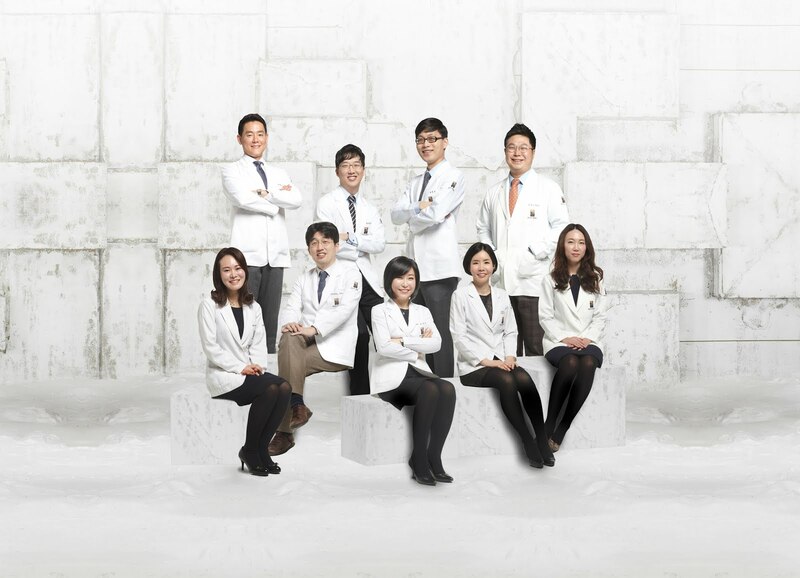 Furthermore, fat graft requires at least one or two times retouch to maintain best results. The third option is dermal filler. Fillers are injected after local anesthesia and can consist of a variety of materials such as hyaluronic acid or poly-lactic acid. For the forehead area, at least 3 cc (syringes) are required for a visible difference but may vary among patients. Fillers not only add volume to the face, but can also induce skin regeneration and tightening effects as well. And unlike fat transfer, you are left with instant natural results! Downtime may include some slight swelling or bruising (which can be covered up with makeup) and a retouch may also be required for some cases. The duration of results also vary depending on the patient's condition as well as the type of filler used, but typically fillers can last about 1-2 years before dissolving and being absorbed back into the body. 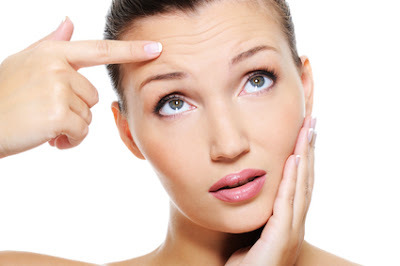 And for patients who tend to move their forehead muscles frequently, botox injections may be suggesting in combination, to prevent the filler from moving around after injection. Here are some photos for your reference. The latter photo was taken 6 weeks after procedure. You can see how her forehead was rather flat at first, but has become naturally full and much prettier. This patient has also reported that her eyes seem bigger as well - this is due to the fact that extra volume in the forehead can also tighten the skin, therefore lifting the brow area. The process is as such: consultation - anesthesia - design - injection, and the actual procedure only takes about 10 minutes or so. What a simple yet effective solution for a flat and dull forehead! However, this is not always an easy procedure. 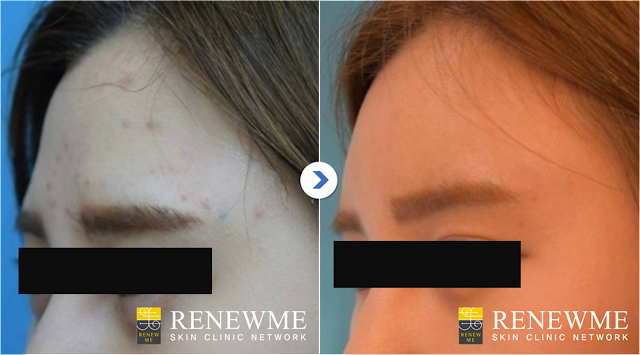 Make sure the doctor performing your filler injection is a board certified dermatologist, and always be informed of possible side effects in advance, such as skin necrosis, infections, and blindness in severe cases.